1. 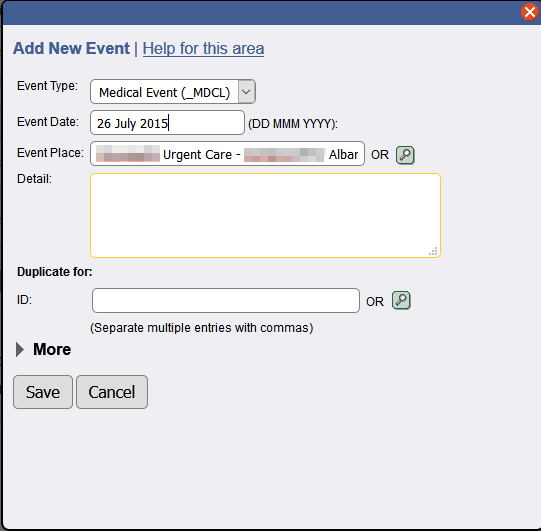 Create a new Event for a Person: Click "People" --> click on a person ID --> under "Other Events" --> "Add New"
2. Select an "Event Type"
3. Add an "Event Date"
7. Nothing happens, the pop-up window will not disappear, and the event will not gets created - using the developer console for the browser (F12) I was able to see the underlying error as posted in screenshots above. Anyone else run across this issue? 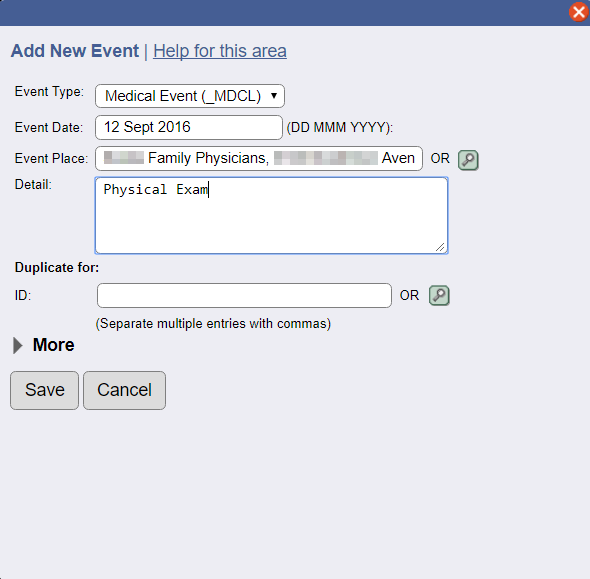 I am able to add events, but only if I DO NOT include an "Event Place", i.e. that field is left blank. Once the event is added, I can go back into the event and then add an "Event Place" via the "Modify Event" pop-up, but I should be able to add an "Event Place" during the initial "Add New Event". Were able to replicate the error, or is it just me? Is this on your Raspberry Pi? If so then you should read the wiki article on Raspberry Pi since you are essential pioneering. Most of us use WampServer or XAMPP for localhost web servers. Yes, my TNG Server is running on a Raspberry Pi. I'll have a look at the link you provided. Chances are that the problems you are reporting are related to Raspberry Pi, so you may want to indicate that is your web environment when reporting problems. Other than the author of the article to which I provided a link, I do not know of any Raspberry Pi users, so as I indicated you are pioneering. This was a software issue, it had nothing to do with the hardware.